Keeping your books neat and organized is imperative to having an attractive collection of books. Depending on your style, you may want something unique to organize these books with. 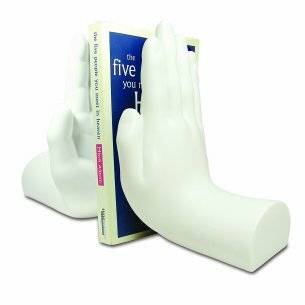 If you have a flair for the unusual and want to step away from ordinary, boring bookends and choose something that stands out, try the Tech Tools Desktop Madness Series Stop Hand Bookends instead. 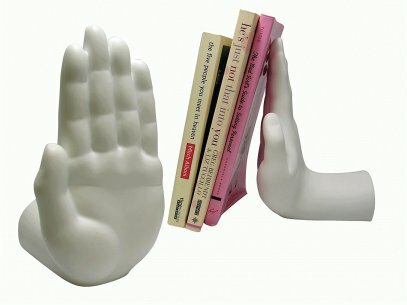 These bookends' decorative nature is sure to turn your bookshelf into a beautiful display of all of your favorite books, holding them up in a neat and orderly fashion.